The snooze wrap plus is perfect for keeping your little bundle of joy swaddled comfortably, all night long. I love that this wrap has a head support that helps position your baby’s head and may help reduce the development of flat head syndrome. This wrap also has a tummy comfort wrap that may reduce the symptoms of colic and provides more comfort to help babies sleep. There is no need to purchase larger snooze wraps because this wrap is adjustable. It grows as your baby grows. And we know, that happens all too quickly. This wrap also offers an arms free wrapping option that parents tend to use when transitioning their babies out of being swaddled. And with the snooze wrap plus, you can comfortably and securely lift and hold your baby while swaddled, thanks to the cradle support pad. 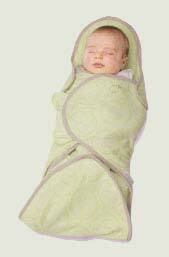 The snooze wrap plus is made for babies weighing 7 – 14 pounds and is made out of 100% cotton. sootheTIME new zzzTIME line offers more than just the snooze wrap plus. They offer a variety of products to help soothe your baby during sleep. 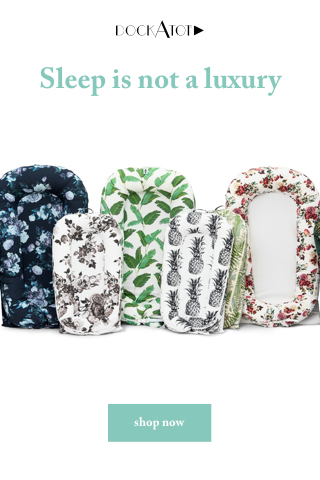 A perfect product to go along with the snooze wrap plus is their snooze sheet. It is also made of 100% cotton and is available for both cribs and play yards. This sheet is different than the typical sheet because it provides secure positioning to help with the “back to sleep” position. You just open the sleep stabilizers on the snooze wrap plus or their snooze snack and place your baby on soft fabric positioner. Genius! The sheet also has soft touch fasteners that attach under the mattress to keep the sheet fit securely onto the mattress. And to provide the most comfort you will want to dress your baby in zzzTIME’s Sleepzies. This little sleeper is perfect to use with the snooze wrap plus and snooze snack. It is made out of 60% cotton and 40% modal to ensure softness even after many washings. It is ultra absorbent to keep your baby dry throughout their rest time. Sleepzies have snaps on the bottom to provide easy changing, a very important factor when it comes to midnight diaper changes! Sleepzies coordinate with the rest of zzzTIME’s line, so not only do babies feel good, but they look good too! Be sure to stop by sootheTIME and read up on their sleep tips and resources. They also have information on sleep stages. And of course, they also have products to soothe your baby during chowTIME, cruiseTIME and tubTIME! Win It! One lucky reader will win a sootheTIME snooze time wrap! To enter, visit sootheTIME and comment with another product (not featured on this review) that you would like to have for the special bundle of joy in your life!